Black and white photography always has its unique charm. Not much color distraction as there are only black, white and shades of gray. One of my favorite images from my recent trip to Bangalore, India. A relatively slow shutter speed of 1/25 sec was enough to blur the man walking in the foreground. 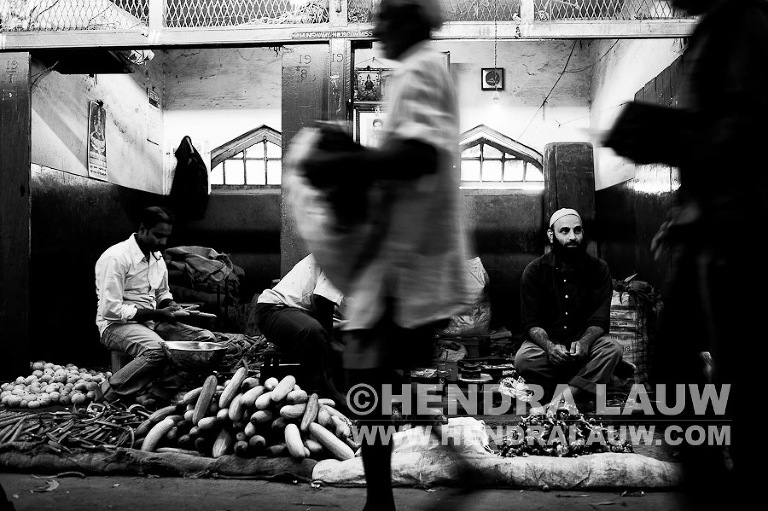 The men in the background were waiting for customers to come and buy the vegetables they were selling. Photo was shot using Leica M9 and Leica 35mm Summarit f/2.5 lens. Weekend is coming and I hope to have couple of hours on Saturday early morning to shoot some street photography. More photos coming soon.